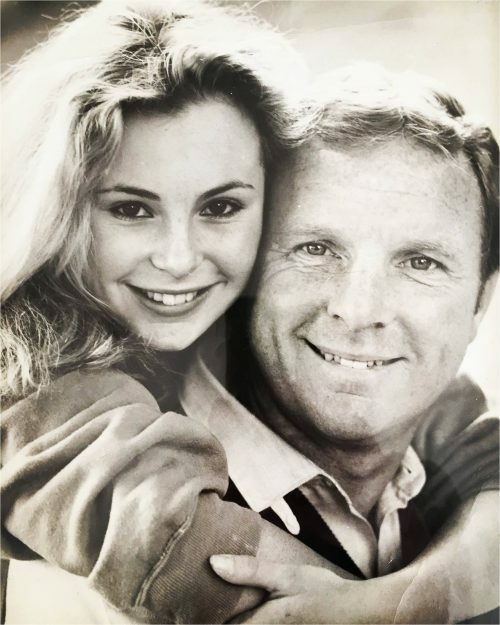 Today what should have been Sir Bobby Moore’s 75th Birthday, his daughter released a never before seen image of her father on her Instagram account. We have been sent over the image to share with you as well as letting you know that there is a documentary about her father coming out in not that distant future. “This photo is one of my favourites, it was taken at home in our back garden in Chigwell on a lovely sunny day whilst I was in the middle of exam revision”. At the time this image was taken, Roberta was 17 and Bobby was 40. A documentary film that celebrates Bobby’s life (Roberta regularly features in this, sharing further memories/stories about her father). Ahead of England taking on the Netherlands tonight and celebrating the 50th anniversary of England’s 1966 World Cup win, Entertainment One (eOne) announces the release of BOBBY – the revealing story of triumph and tragedy behind British football’s greatest hero, Bobby Moore. With spectacular archive footage including film from the ’66 World Cup that’s never been seen, the golden era of English football is vividly brought to the big screen like never before. Produced by Matthew Lorenzo and featuring stars of the football world and more including Pele, Sir Geoff Hurst, Gordon Banks, Harry Redknapp, Russell Brand, Ray Davies and Bobby Moore’s family, this authorised account is an incredible tale of an extraordinary man. BOBBY will preview in UK cinemas on May 27, 2016 and will release on Blu-ray, DVD & Digital HD May 30, 2016.